Our innovative renewable heating products mean you can design and create a stunning feature, integrated into your client's home, a feature which also happens to heat their home exceptionally well. 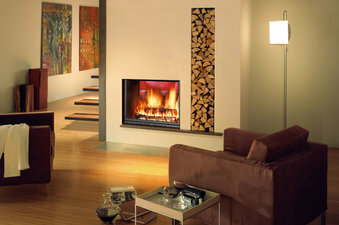 Fondis are a meticulous manufacturer of top of the range inset stoves for those wanting the best. 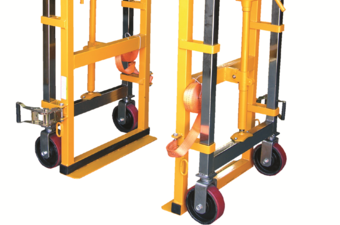 We are proud to work with Fondis are are their sole UK importer. 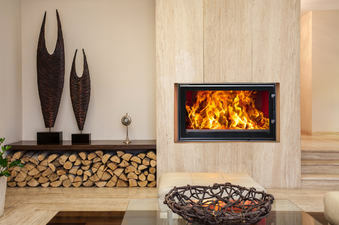 Style and function combine with Woodfire. 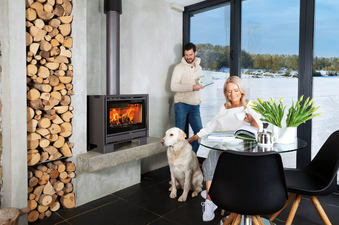 Woodfire stoves really let you harness the power of wood to heat a whole house. 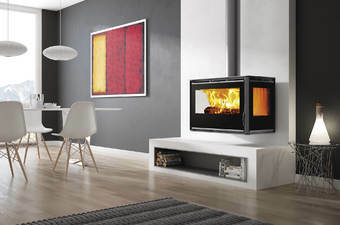 Opus are a range of elegant wood stoves following two design formats: the Scandinavian, tall and cylindrical, and the UK linear square. 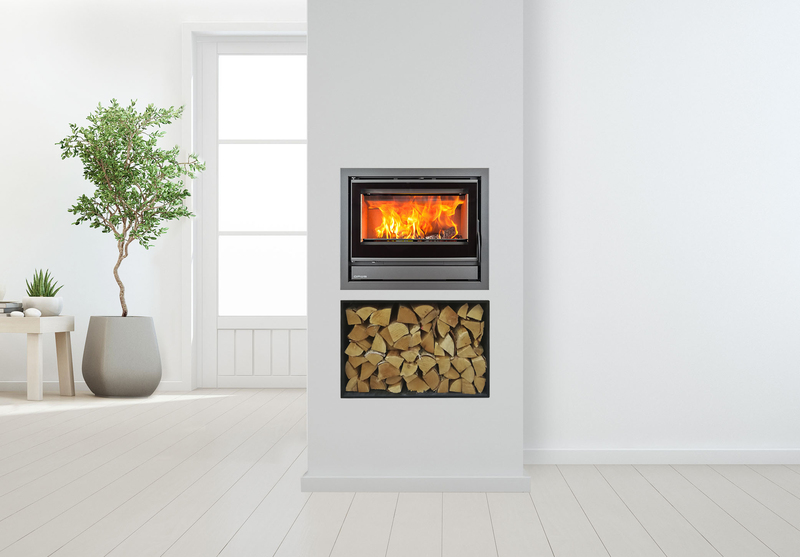 Arikazan log gasification, pellet boilers and warehouse heating platforms take us from the world of large domestic right up to commercial wood heating. We supply top of the range thermal stores which are the ideal companion to renewable energy systems. 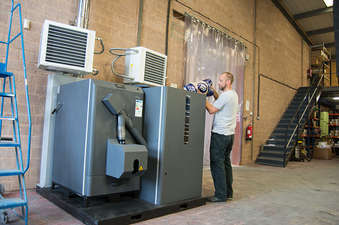 Renewable energy tends to come in chunks and a thermal store lets you store that up for later. 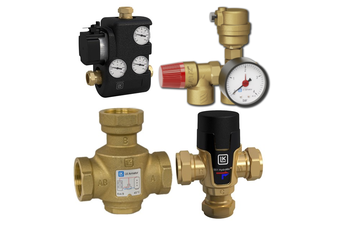 From boiler stove control panels to valves and other gizmos. 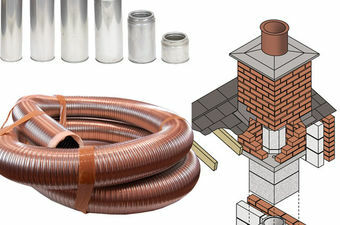 We stock and supply the specialist parts you need to complete the heating system. 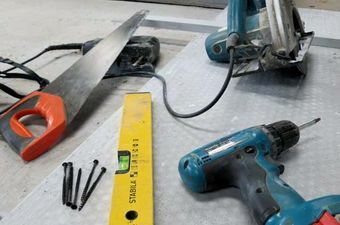 Thermalux are highly heat resistant sheets that can be easily worked with standard tools and then glues, screwed and plastered to quickly and safely install inset stoves. 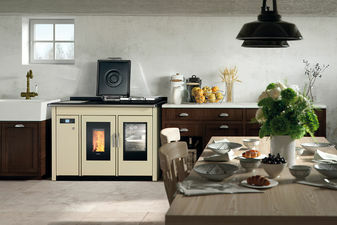 A SmartLift lets you move large and valuable appliances like the Klover Smart 120 with ease and safety.